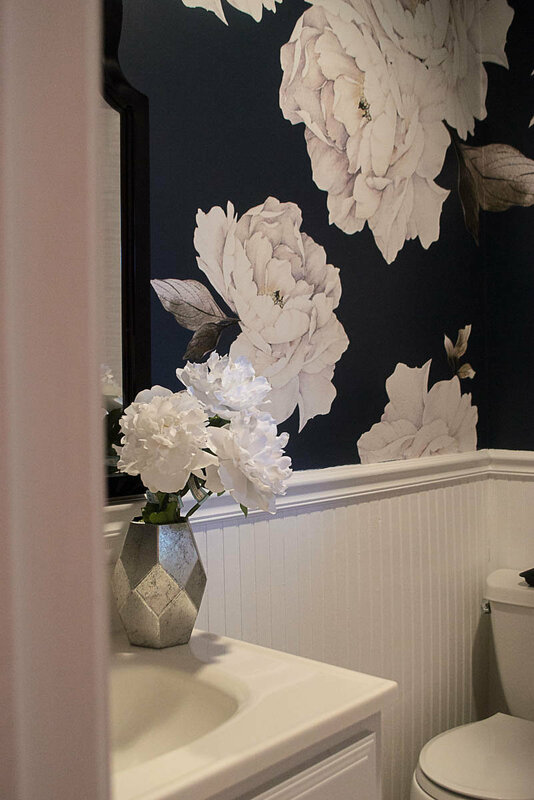 I am so excited to share this Cabana Bathroom Makeover. Here is a before picture of the space. 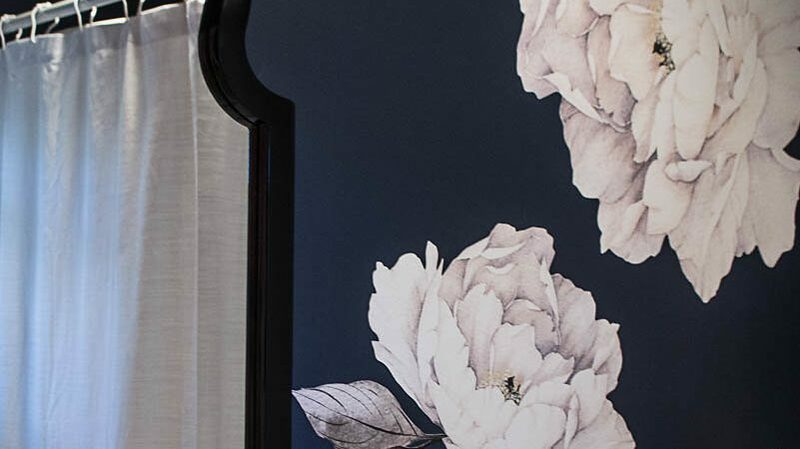 I knew I wanted a dark blue for the walls and found Dark Denim by Behr Paints. 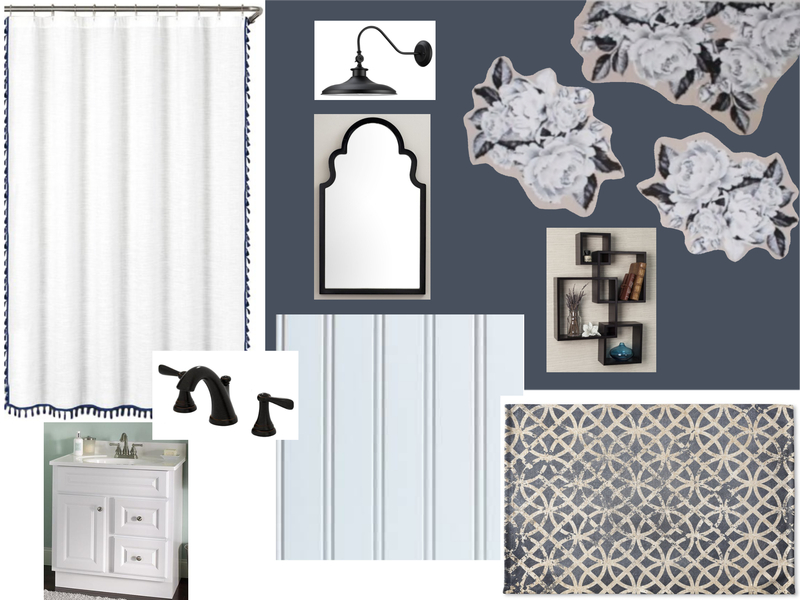 I refreshed the wainscot and trim in Chantilly Lace by Benjamin Moore. 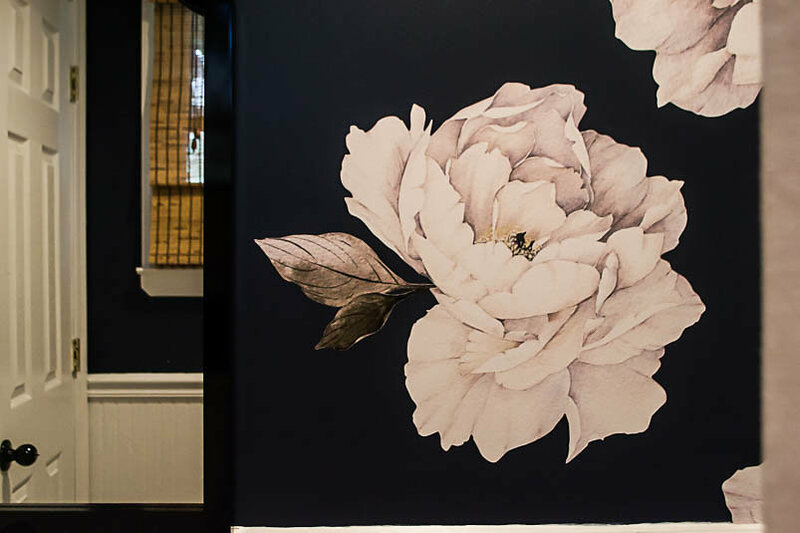 When looking for a artwork, I fell in love with the White Peonies flower decals from Urban Walls. 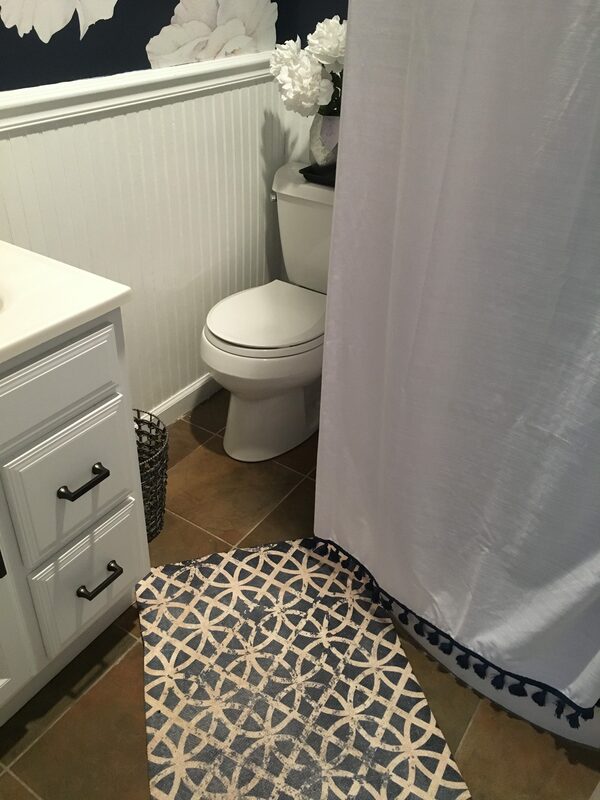 I bought the half size amount for this space. 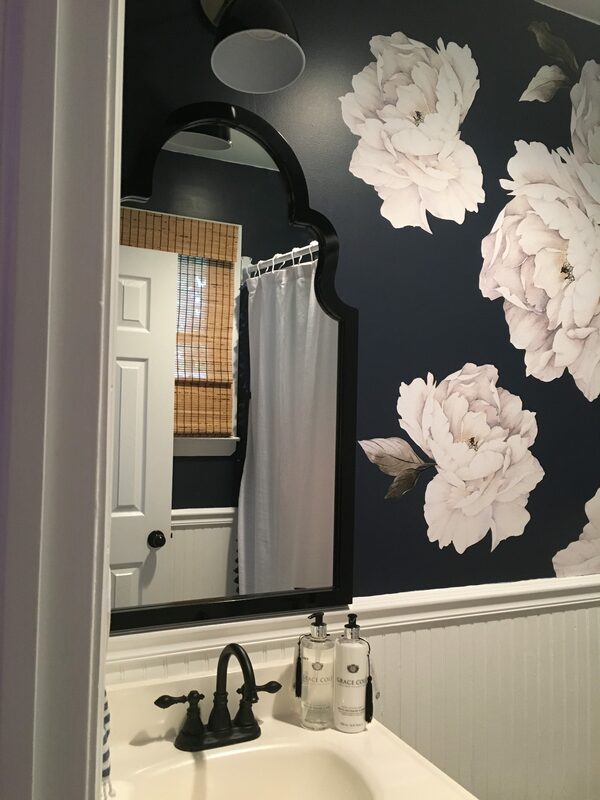 I wanted to create a flower explosion coming from the corner. 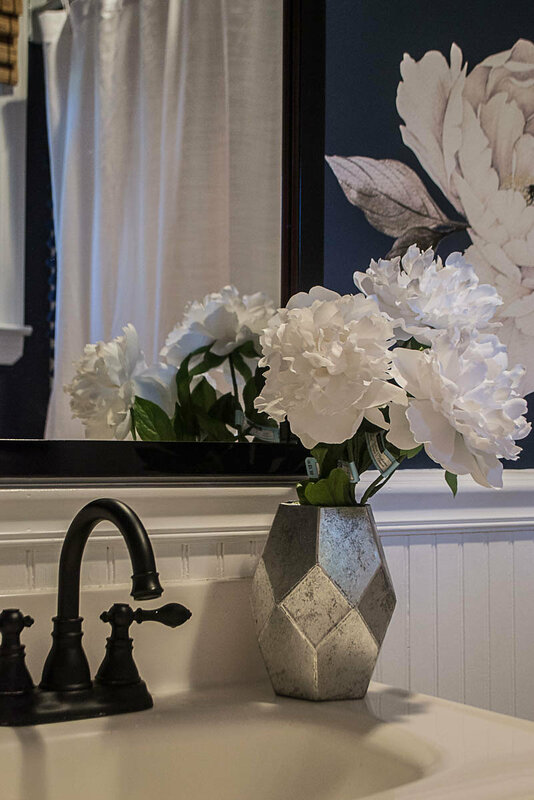 I originally painted the nickel faucet black, but there was a leak in the faucet. 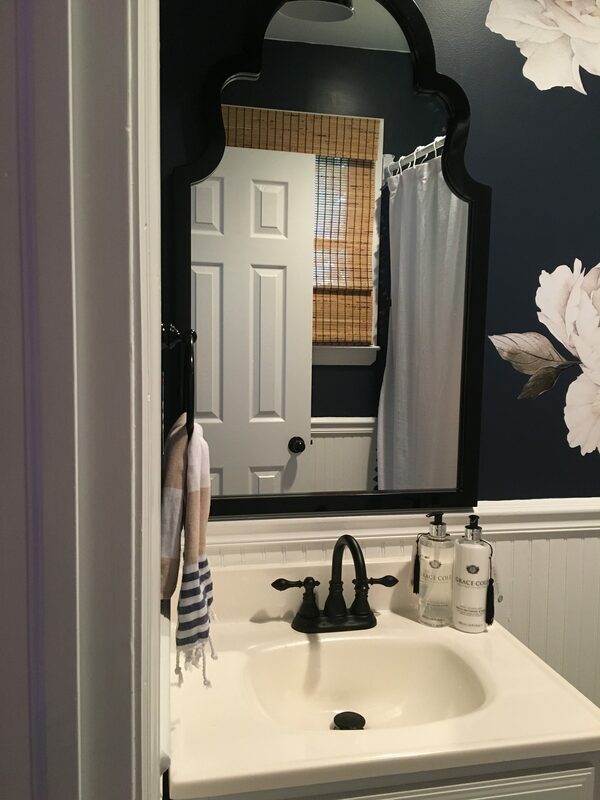 So I found this black faucet on amazon and replaced it. 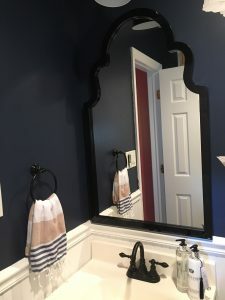 I did spray paint the towel ring and toilet paper holder using Rust-Oleum Gloss Black Spray Paint . 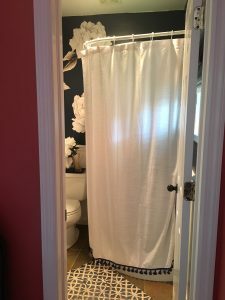 The bathmat, mirror, hand towel and shower curtain are all from Wayfair. 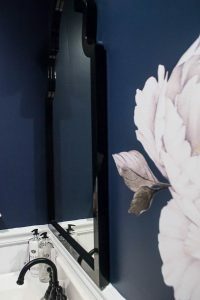 I also hung a wall sconce above the mirror, no wiring required. 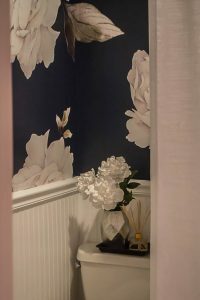 I used the magic light trick I learned from my favorite home design blogger Nesting with Grace. You can find the sconce and light pucks with remote on amazon. 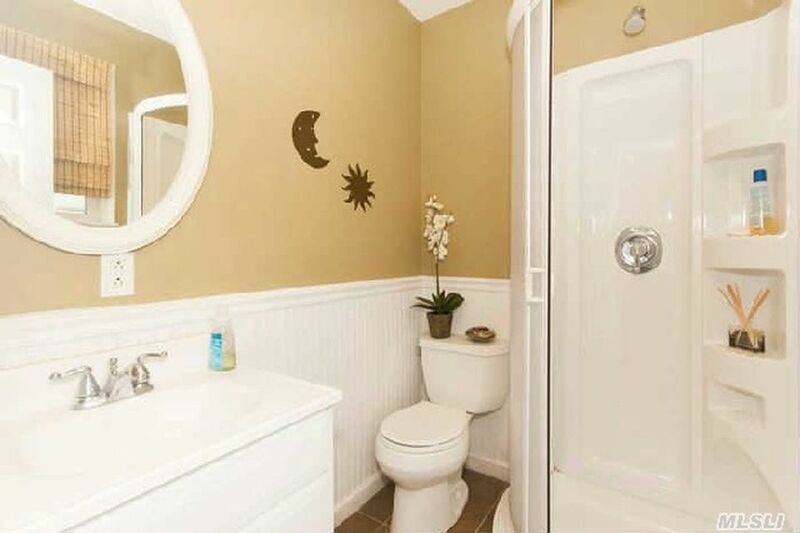 All you need to do is use heavy duty Velcro or a piece of wire to attach the puck to the sconce and hang the light! 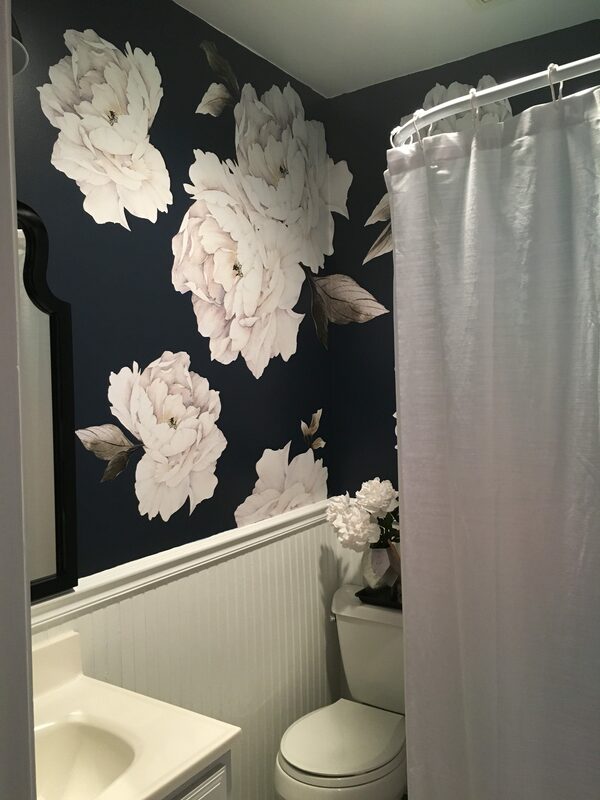 I am so thrilled with how this bathroom turned out! 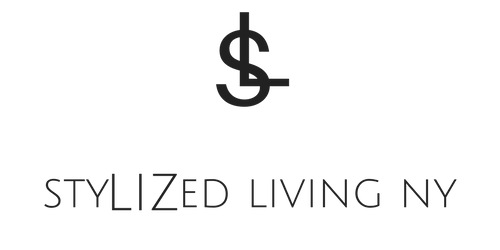 StyLIZed Living NY is a participant in the Amazon Services LLC Associates Program, an affiliate advertising program designed to provide a means for us to earn fees by linking to Amazon.com and affiliated sites. Previous Post AMAZON PRIME DAY!!! !